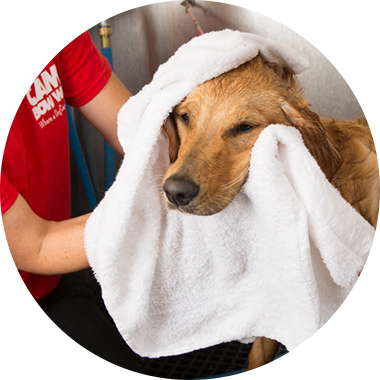 Contact us at (904) 732-9663 to learn more about our dog grooming services. Please note: Baths are given while attending day camp or boarding. No walk-ins for baths only please. Less than 25 pounds. Includes Mini Groom and full hair cut. Larger than 50 pounds. Includes Mini Groom and full hair cut.